Northern lights are visible on clear nights in the Cairngorms. Nights in Tomintoul and Glenlivet are amongst the darkest in the UK, meaning the deepest depths of the galaxy shine far bright than in towns and cities. Now the villages have been recognised by the Arizona-based International Dark Sky Association for the stunning views, in a move which will bring a wave of winter tourists to the region. Hills shield the area from light pollution and Moray Council, distilleries and nearby farms have now pledged to support the initiative to make the stars stand out in the darkness. Last night, an event was held in Tomintoul to celebrate the achievement while teaching visitors how to spot natural wonders that are invisible to the vast majority of the population. Professor John Brown, Astronomer Royal for Scotland, said: “Town-dwelling visitors who come here will find their blood race when they find the sky to be black and flooded with thousands of brilliant stars – not yellow or grey and dotted with a few smudges. 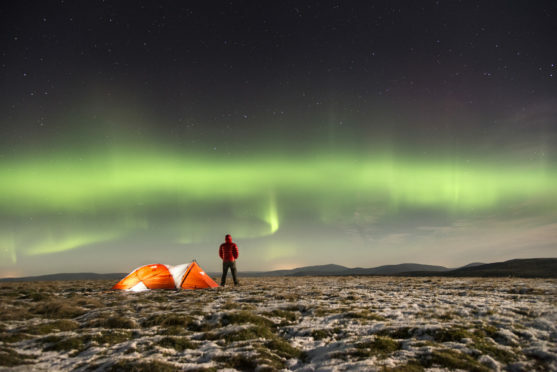 The Cairngorms Dark Sky Park is just the second in Scotland after the Galloway Forrest in the south-west corner of the country – where businesses benefit from a £500,000 annual boost to the winter economy. 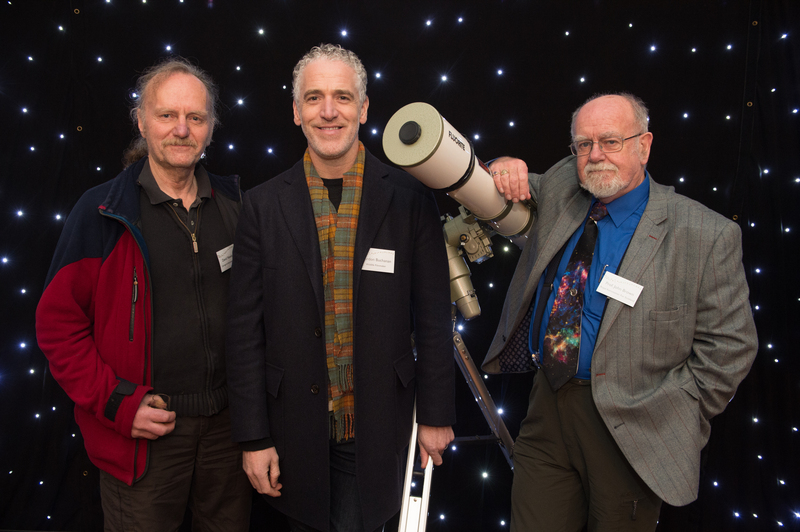 David Newland, chairman of Cairngorm Astronomy Group, Gordon Buchanan, wildlife film maker and presenter and Professor John Brown, astronomer royal for Scotland. The initiative in the north has been supported by the Tomintoul and Glenlivet Landscape Partnership, which received £3.6million from the Heritage Lottery Fund to deliver 20 projects. It is also hoped that the reduction in light pollution will also cut energy consumption in the area while also encouraging nocturnal wildlife. David Newland, chairman of the Cairngorms Astronomy Group, who championed the dark sky bid, said: “Tomintoul and Glenlivet have an amazing view of the Milky Way. We also get a good showing of the northern lights when conditions are right. Wildlife filmmaker Gordon Buchanan, who attended last night’s event, said: “Dark skies have a life of their own. To gaze up at a clear night sky free of light pollution continues to leave me spellbound.